SEMA is upon us and the world's most custom cars and trucks will be out in full force showcasing the aftermarket's latest parts. We contacted some of the best builders from across the country and got the 411 on the nation's premier custom trucks debuting at this year's mega-show. Take a look at the amazing renderings and be sure to check back each month for features on each truck. New body style Chevy? Check. Roadster? Check. Crazy, custom suicide doors? Check. Tucking 26-inch wheels? Check. Wild audio system? Check. Yes, Bill Montgomery, from Phoenix, has all of the custom truck boxes checked off and his truck will be turning heads for years to come. Thanks to Phoenix's own Mouse's Kustom Fab and Superior Auto Sound, the Silverado should be one of those trucks you just stare at for hours finding new things you missed at first glance. Giovanna 26-inch wheels and Hankook tires will tuck deep in the fenders and a Katzkin leather-filled interior with an arsenal of Realm audio will keep passengers in the lap of luxury. Representing Aftermath in Houston, Eddie Gonzalez's 'bagged and body-dropped '97 two-door Tahoe may very well be one of the most customized trucks at the show. The bright antifreeze green paint and '05 Silverado front clip, by Alamo Customs, in Alvin, Texas, is sure to grab your eye, but once you get closer you'll notice the intricate, high-end, and very luxurious interior. Laying on the rockers over 22- and 24-inch billet wheels, Eddie's Tahoe also features a custom-painted chassis, painted 383ci engine with billet goodies, and a front-to-back shave job. Get your sunglasses out, this one is going to be bright. Fesler Built created the amazing roadster Blazer from our issue 3 cover and they let us in on a top-secret build they're currently welding away on. This '58 Chevy belongs to Brian Fuentes, a pitcher for the Minnesota Twins. Brian came to Fesler with a long list of wants and thus far, the Fesler crew is delivering the goods. Shaved clean of nearly everything on the body, the Chevy was chopped 2 inches and will be covered in satin black. The classic Bow Tie will be airbagged over black and chrome Asanti wheels and will be motivated by a 572ci GM Performance Parts big-block. 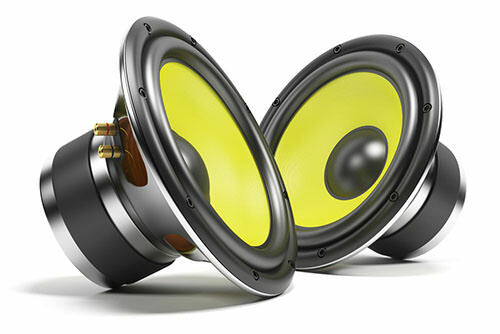 Inside, you'll find a leather-wrapped interior with pounding bass from JL Audio. It's only taken three years for Marty McGuire to build a concept truck so unique that its got a cult following. Take a minute and check out syborgtwinturbo.com and you'll quickly see why there is such a buzz about this bad-boy. A fully built 4.7L V-6 receives a huge gust of boost thanks to twin hairdryers and the Ride Tech suspension and huge Precision big brakes means this GMC will handle and stop as good as it goes. Incredible attention to detail by Kenny Davis Hotrods, handmade interior from the Recovery Room, and sheetmetal unlike any other make this truck one you won't soon forget. Debuting his truck two years ago at SEMA, Wes Cade, of Las Vegas, decided to tear his Dodge Ram down and build it up again. Powering this big rig is the venerable Cummins turbo diesel equipped with a full complement of Bully Dog gear. Going bigger with the wheels, redoing the paint, and sprucing up the interior should certainly do the trick of fooling unknowing spectators. Coming straight out of the heart of Arkansas, Robbie Bryant, from KEG Media, is unleashing his '09 Ram onto the crowds at SEMA in a big way. Featuring a massive 19-inch lift from B&C Off-Road, the Ram will tower over 22x14-inch FUEL wheels and Nitto Mud Grappler tires. Ed Williamson's insane paintwork will adorn the lower half of the truck with sinister skulls and a realistic decaying underworld depicted all over the Dodge. Keeping the Ram comfortable inside, leather seats and a huge fiberglass center console will make for entertainment inside and out. On the other end of the big spectrum is this 'bagged and 'body-dropped dualie owned by David "Potter" Williams. His completely done show truck is being stripped down and receiving new Tahoe headlights, sectioned bumper, and gallons of House of Kolor Pavo Purple. Sitting over the 24-inch dualie wheels, the Chevy will also have a giant ragtop, re-stitched black leather interior with a large in-dash screen, and flipdown monitors in the headliner for the full audio/video experience. Building a truck that makes every speed freak drool, Martin Barkey's Colorado Speed project may be one of the fastest rides at the SEMA show. Stuffing a 505hp LS7 under the hood and then bolting on a ProCharger huffer in front of it, the MBRP build team created an absolute beast of a midsize truck. A full rollcage, Nitto tires, big brakes, and a Tremec T56 six-speed will help this Colorado perform unlike any other. Ready to conquer any drift exhibition, Silver State Classic, Texas Mile, or drag race, this 1,000hp Chevy is a world-class kick in the pants. Another Lone Star State custom truck enthusiast, Mike Matamoros, from Rogers, Texas, is working late nights trying to get his GMC Sierra finished for the show. This menacing Sierra is 'bagged with an Ekstensive front kit and custom rear setup by Jerry "Big" Abercrombie. The GMC tucks beautiful 26-inch Intro billet wheels and Falken tires. Rather than follow the current Texas paint trends, Mike delivered his truck to Pristine Image for a wild, front-to-back, top-to-bottom flame job by Pat Maxwell. Now engulfed in flames, his GMC is unlike any other. A clean and classy leather interior stuffed with plenty of audio gear should have his truck turning heads all weekend long. As the winner of our inaugural Troops Giveaway grand prize, the Army's Rob Jones is having a pretty darn good year. He thankfully accepted the custom paintjob from Demented Customs and took that opportunity to revise his old rendering into this streamlined look. A full audio system from Rockford Fosgate with have the interior bumpin' and rumor has it, a new set of wheels will be bolted under each fender. Be on the lookout for this one in an upcoming issue. Known throughout the custom truck world as "Color Blind," Tim Donelson's Chevy is destined for a SEMA makeover. We know, that sounds crazy, but Tim is crazy and we appreciate his need to push the limits. Rumors are swirling as to what it will look like, after all he had candy apple red lames sprayed just for Heatwave in Austin, but we've got an inside source that tells us the Silverado will receive a Chevy HD front end, new paint, new "loating" suspension back half, and even taillights. Making Color Blind look even more custom, new-for-2011 28-inch Giovanna wheels will be bolted in place. A new, more street-rod-styled interior featuring a '54 Ford all-metal dash, and new door panels will seal the deal. This one should be crazy. 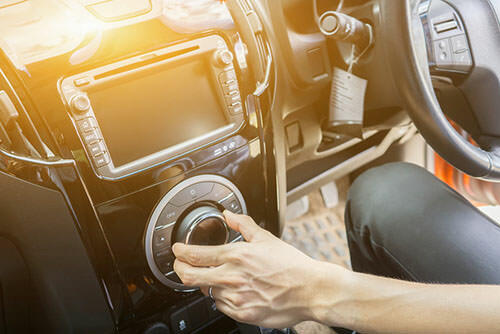 As the Marketing Manager for Directed and Orion best car audio speakers , Chris Fierek is no stranger to seeing and hearing the best of the best in the 12-volt auto industry, so when it came time to build his own project, Chris used his knowledge, skills, and connections to go big. Starting with a busted up Blazer, Chris is going to add a new front and rear KP Components suspension, Baer big brakes, LS1 with a 4L60E and Painless harness and Asanti AF135 wheels with Continental tires. The body is going to be streamlined and the subtle white paint should have people quickly giving him the thumbs up. The old age adage of "zero to hero" is true for C.J. Spilvey's Chevy, as he took a bonestock Silverado and lowered it using Belltech components, bolted on 24-inch MHT wheels and Hankook tires, and then added a Superchips programmer and Magnaflow exhaust for more performance. The T-Rex billet grille, Street Scene SS front bumper cover, and Leer tonneau cover add good looks to the two-tone paint scheme. A real driver, this truck will prove that SEMA trucks can be used every single day.